Who wants their Christmas dinner in a can? 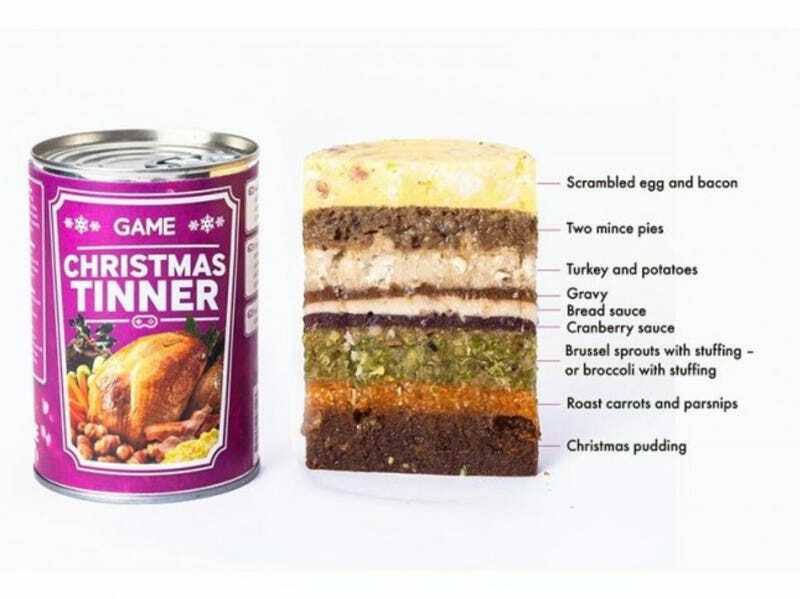 UK games retailer Game is reportedly offering the Christmas Tinner for gamers too busy with their shiny new Playbox and X-Station game consoles to take a break for a regular meal. What is it with the British and meals in a can?